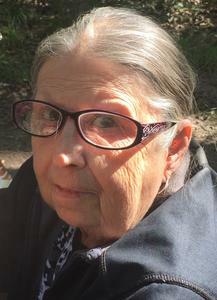 Thorna May Hodges, age 77 of Grawn, died January 20, 2018 at her home. Thorna was born on December 23, 1940 in Lake Ann to John W. and Wenonah M. (Plowman). She was employed at Chef Pierre for many years and then retired from trucking with her husband, Grover F. Hodges. She loved seeing the country side from the truck with her husband. Thorna also enjoyed camping, baking, cooking, gardening, bird and deer watching and her cats and dogs. She is survived by her daughters; Denise Egeler and Teresa (Anthony) Welch, 7 grandchildren, 6 great grandchildren and a brother, Ed Tucker. Thorna is preceded in death by her husband; Grover (Buzz) Franklin Hodges, sister; Edna Kraus, son; Donald McQueer; daughter, Pam McQueer and parents, John W. Tucker and Wenonah Plowman. Private family services will be held. Please visit www.lifestorytc.com to sign the guest book and share your thoughts and memories with the family. The family chose Life Story Funeral Home.